When it comes to getting the word out about Autism , its very near and dear to me. As anyone who knows me my son Devon has Autism and I want to educate people, about it. There are many ignorant people out there, who instead of asking whats wrong, sit and laugh or stare at Devon, and being his mother I am very offeneded by that, hes a part of me and I love him till the end of time. 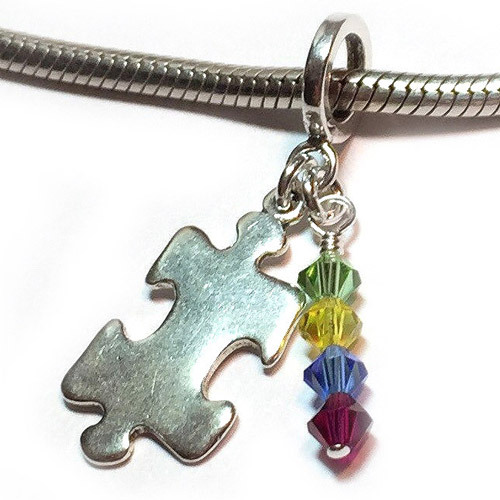 Recently I was given the chance to get a Autism Charm Swarovski Crystal, its so beautiful and fits pefectly on my bracelet, anything that has to do with Autism is always something I want. These are hand made which is is sterling silver and swarovski crystal, and assembled by hand in my studio, very pretty and you know it was made from love. And at three Devon was dianoised at three and we have been studing and learning all about it, and showing that we are a part of the Autism family is always the best thing for me. There are others who have the same issues and trials as me. 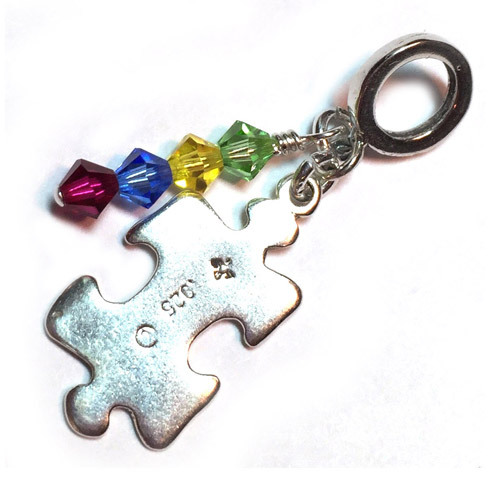 This charm is another way of showing my support for Devon. Everyone loves some form of beads and they been around for many years, they are used for jewlery, for special occasions and worship. Making this charm even more special is the makers went around the world, looking for those special beads, they only use the highest quality of beads. To enhance my knowledge of precious metals, beads and jewelry, I took the Accredited Jewelry Professional course of studies at the Gemological Institute of America and received my diploma in 2009.